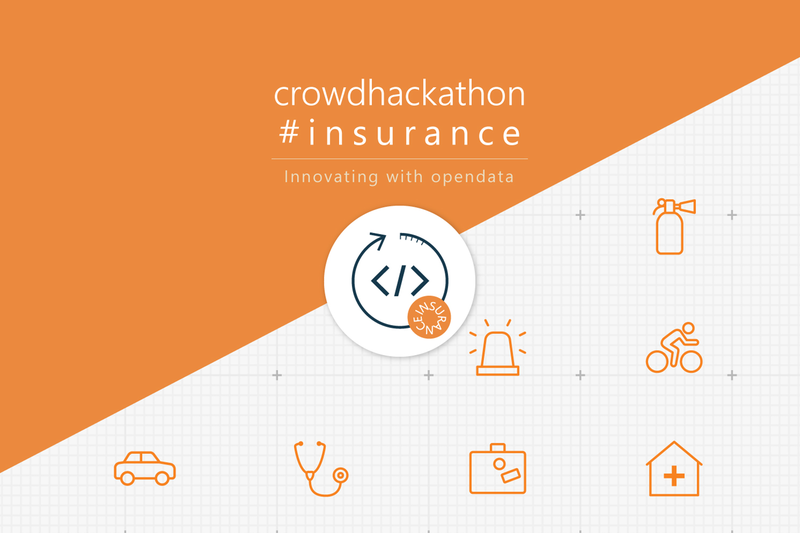 Crowdhackathon is an open innovation event. Young people, developers, designers, analysts and everyone wanting to share an idea or solution for practical issues or to develop a trial innovative product or service are welcome to participate. 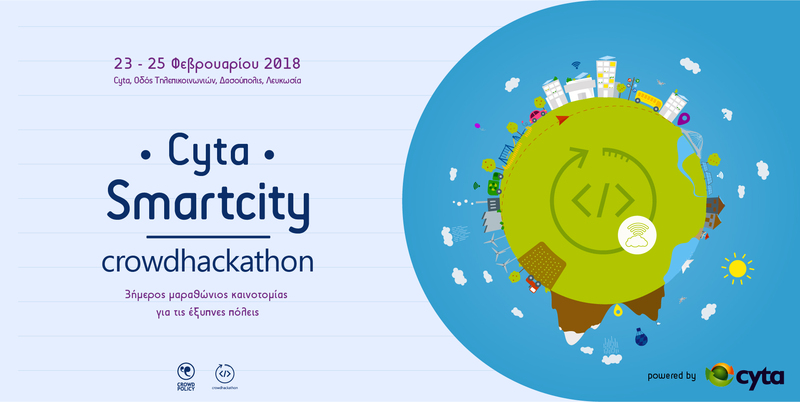 In June 2018 , the Central Union of Municipalities of Greece (KEDE) held the 2nd Innovation Marathon for Smart Cities, KEDE City Challenge Crowdhackathon #Smartcity2, which was attended by more than 1,500 participants and 112 teams. The 2nd Innovation Marathon for Smart Cities launched KEDE Innovation Lab. 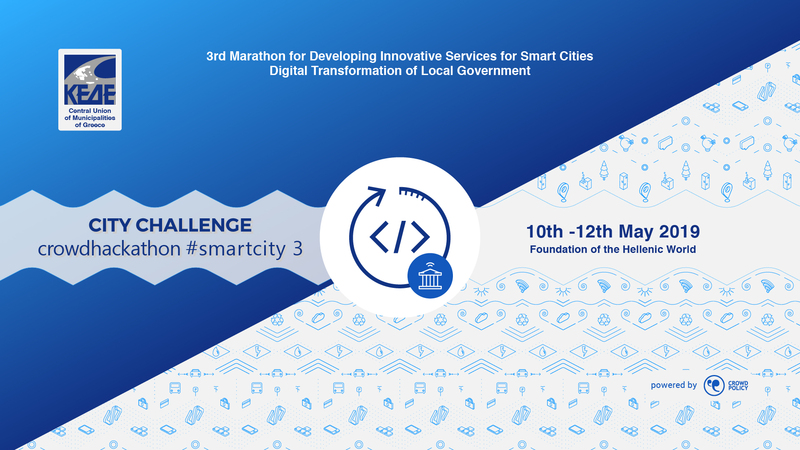 Understanding the needs of Greek society and local government for digital transformation and strengthening of the local economy, KEDE is holding for the third consecutive year the 3rd Innovation Marathon for smart cities, KEDE crowdhackathon #smartcity3. 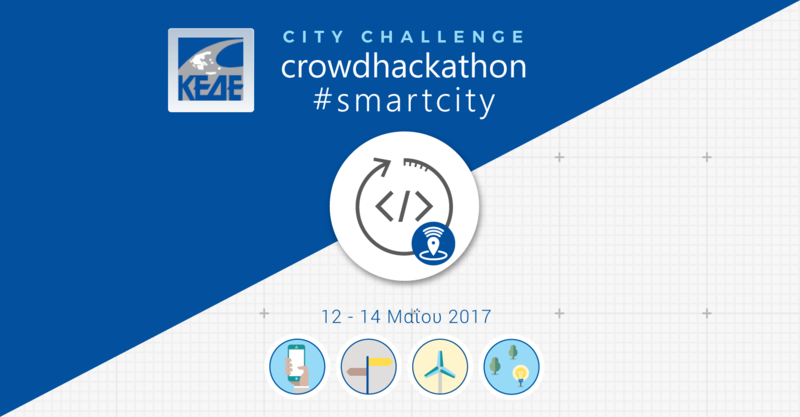 City Challenge crowdhackathon #smartcity3 will be held from May 10th to May 12th at the Foundation of the Hellenic World. The Ministry of Agricultural Development and Food organizes the 1st crowdhackathon #Agrifood for the development of applications and services in the broader field of agri-food. 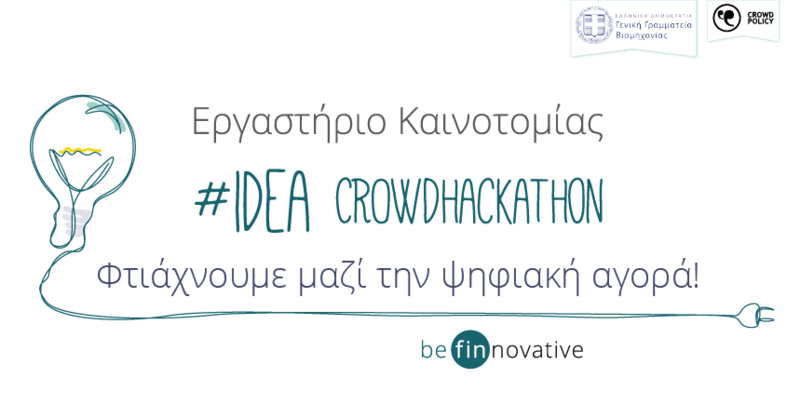 The crowdhackathon #Agrifood will be held on 5-7 April 2019 at befinnovative in Moschato (74 Piraeus Str.) with the technological and operational support of the Greek technology and innovation company Crowdpolicy. This action aims to mobilize the creative human capital, boost creativity and youth entrepreneurship and promote innovation in the agri-food sector, thus contributing to the economic recovery of our country. The crowdhackathon #Agrifood is part of the effort of the Ministry of Agricultural Development and Food to promote openness, inspire and motivate young people to innovate in the agri-food sector. 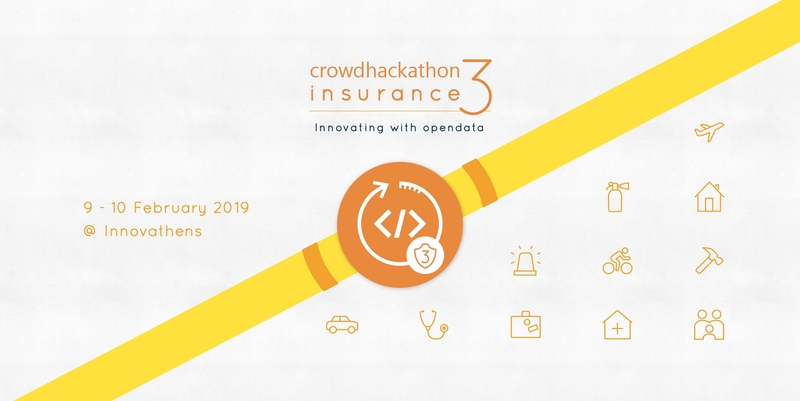 On 09 and 10 February 2019, the third two-day Innovation Marathon Crowdhackathon#insurance3 will take place at INNOVATHENS – Hub of Innovation and Entrepreneurship of Technopolis in the City of Athens in Gazi. The event will focus on the creation of innovative applications (Minimum Viable Products – MVP) in the wider insurance sector (#insurtech). Crowdhackathon#Insurance 3 is organized by Crowdpolicy technology and innovation company and Ethos Media , with the support of insuranceworld.gr, within the framework of the open innovation event Crowdhackathon.com. KPMG Cyprus will hold the 2nd Marathon for the development of applications on innovative technologies in the field of technologies that disrupt the Insurance industry, on 19,20 January 2019 at KPMG premises (Esperidon 14, Nicosia). 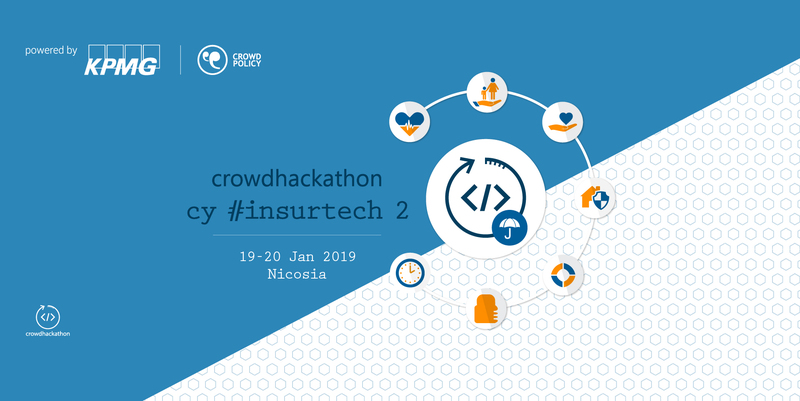 Crowdhackathon cy #insurtech 2 is coordinated with the technological and operational support of the innovation company Crowdpolicy. 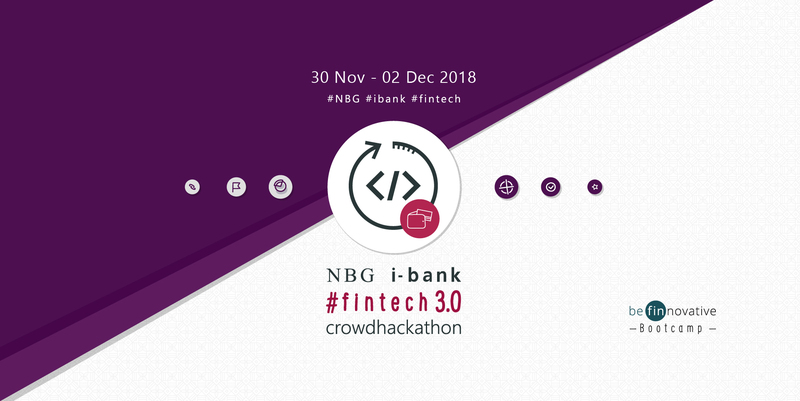 On November 30, December 1 and 2, the third development bank marathon NBG i-bank #fintech 3.0 crowdhackathon is being developed for the development of applications in financial trading technologies (#fintech).NBG i-bank #fintech 3.0 crowdhackathon is organized by the National Bank, with the support of Crowdpolicy (www.crowdpolicy.com), within the Bank's broader strategy of developing partnerships with new, innovative and creative companies and teams of fintech. Bank of Cyprus will hold the 2nd marathon for the development of applications on innovative technologies in the field of financial transactions (Fintech) on 26, 27 and 28 October 2018 at the Bank of Cyprus Cultural Foundation in Nicosia. boc hackathon #fintech 2.0 is implemented with the technological and operational support of the innovation company Crowdpolicy. It is the second Fintech Hackathon to take place in Cyprus. Subscribtions will be available soon.Stay Tuned! Following the successful City Challenge Crowdhackathon #smartcity, KEDE is organizing the 2nd Innovation Marathon City Challenge Crowdhackathon #smartcity 2. It will take place from June 28th to July 1st at Stavros Niarchos Foundation Cultural Center. The contestants are to develop pilot services and applications solving problems that Local Authorities face and supporting local and national development through new technologies. 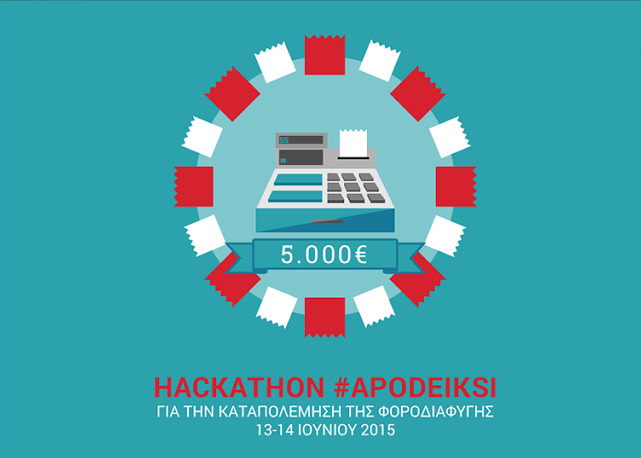 The Marathon will host special events such as a student innovation contest and local citylabs in 16 cities of Greece. The 1st Marathon for the Development of Innovative Applications and Services for smart cities “Cyta Smartcity Crowdhackathon” will be held in Cyprus on 23 – 25 February with the support of Cyta.This is a Marathon for the Development of Innovative Applications and Services, during which participants are to develop pilot services and applications solving problems that Local Authorities face and supporting local and national development through new technologies. We invite young entrepreneurs, developers, analysts, students and anyone interested in turning their idea on solutions for smart cities into a comprehensive pilot application on the Internet or/and mobile phones to participate in the crowdhackathon. In addition, an Open Day will be held to discuss good practices and smart city solutions. Register here: https://www.eventora.com/en/Events/cy-smartcity-openday. Cyta Smartcity Crowdhackathon will be attended by significant stakeholders from the sector of economy, Municipalities and the academic community. The marathon is organized within the context of Crowdhackathons. 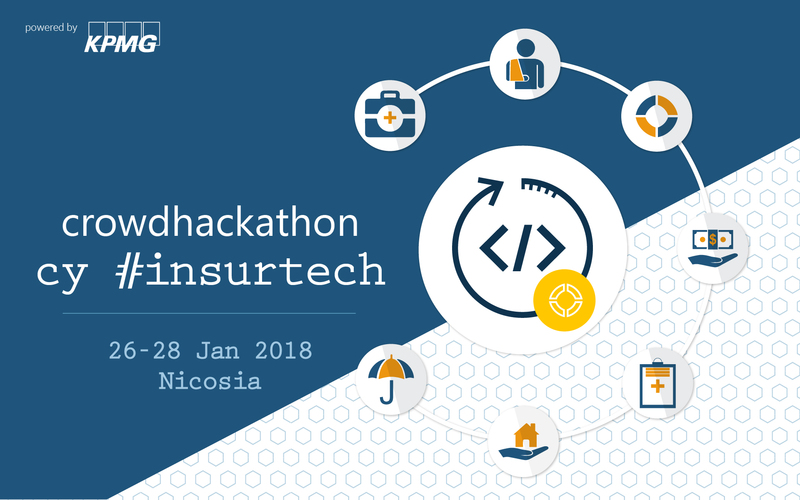 On 26, 27 and 28 January 2018, the first innovation competition hackathon cy #insurtech on the development of applications (Minimum Viable Products – MVP) and operational innovation in the sector of insurance (#insurtech) will be held. The hackathon cy #insurtech will be held by KPMG with the organisational and technological support of the innovation company Crowdpolicy and the participation of significant stakeholders from the sectors of economy and society within the framework of the open innovation event crowdhackathon.com. The second marathon on the development of applications NBG i-bank #fintech 2 crowdhackathon will be held on 20, 21 and 22 October.NBG i-bank #fintech 2.Crowdhackathon is organized by the National Bank of Greece, with the support of Crowdpolicy (www.crowdpolicy.com), within the framework of the Bank's broader strategy of developing partnerships with new, innovative and creative companies and teams in the field of fintech. The Bank of Cyprus will hold the 1st marathon for the development of applications on innovative technologies in the field of financial transactions (Fintech) on 9, 10 and 11 June 2017 at the Bank of Cyprus Cultural Foundation in Nicosia. It is the first Fintech Hackathon to be held in Cyprus. The General Secretariat for Industry, through the implementation of the project "Study for the design and development of a platform for the search and management of entrepreneurial innovation resources", aims at the implementation of a digital platform and processes that will actively support enterprises active in the broader sectors of industry, As well as in the ICT sector. Photos & Videos from idea #agora event. VISIT ideation Post-it PLATFORM. CITY CHALLENGE - crowdhackathon #smartcity is a three-day marathon for the Development of Innovative Applications and Services, during which participants are to develop pilot services and applications solving problems that local authorities face and supporting local and national development through new technologies. Those that can participate in the crowdhackathon are officials of the Municipalities, young entrepreneurs, developers, analysts, students and anyone interested in turning their idea on topics related to local authorities into an application. The 1st Marathon for the Development of Applications for Open Public Data in Cyprus (Open Data Cyprus Crowdhackathon #ODC #opendatacy) is a fact. The competition will be held on 10 and 11 September 2016 in Nicosia, at IDEA (36 Likourgou Street, P.C. : 1011). 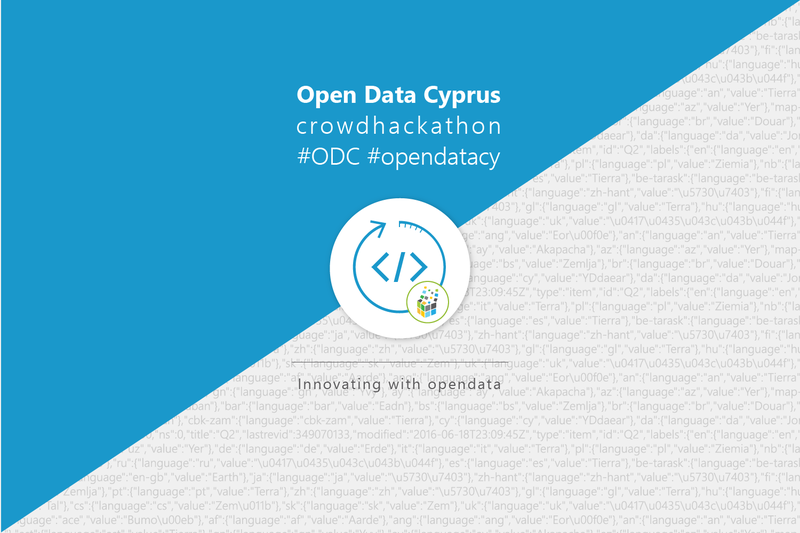 We invite developers, analysts, designers, communication and marketing experts, students, professionals and, generally, anyone interested to participate in the Open Data Cyprus Crowdhackathon and actively contribute to the development of applications in any area, by utilizing Open Public Data. Open Data Cyprus Crowdhackathon is the final and greatest action of the Project “Supporting the Public Sector bodies in Implementing the Revised Directive 2013/37/EU and Promoting the Further Use of Public Sector Information”, which is entirely funded by the European Commission. 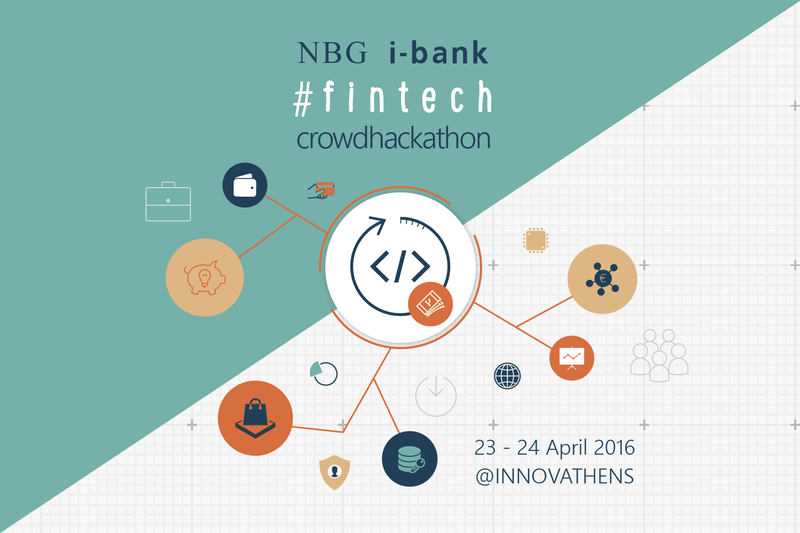 On 23 and 24 April 2016 we are going to hold a two-day NBG i-bank #fintech crowdhackathon whose topic will be the development of applications (Minimum Viable Products – MVPs) and the operational innovation in financial transactions (fintech). We invite young entrepreneurs, developers, analysts, designers, communication, marketing and customer service executives, business consultants, professionals, students, pupils and anyone interested to take part in the NBG i-bank #fintech crowdhackathon and actively contribute to the development of applications, systems and methodologies that promote innovative youth and social entrepreneurship and the economy. 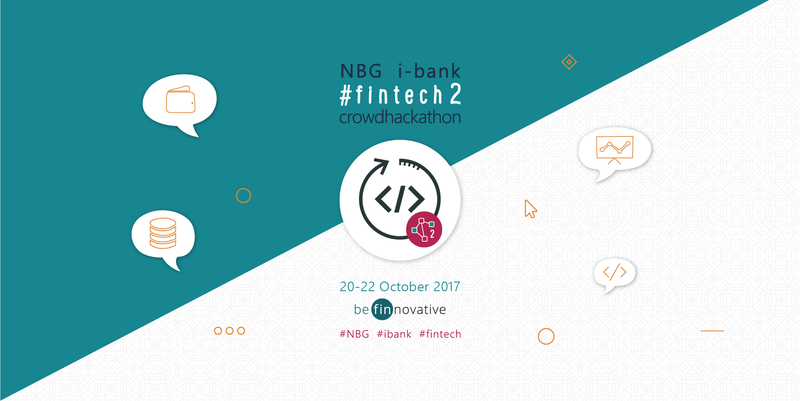 Subscribe to the webpage of the event NBG i-bank #fintech crowdhackathon on facebook to keep yourself constantly updated! ΟThe Greek Tourism Confederation (SETE) www.sete.gr, wishing to strengthen competitiveness and to promote the leading role of tourism in the Greek economy, organizes a Hackathon, the first Marathon for the development of applications in the domain of Tourism. 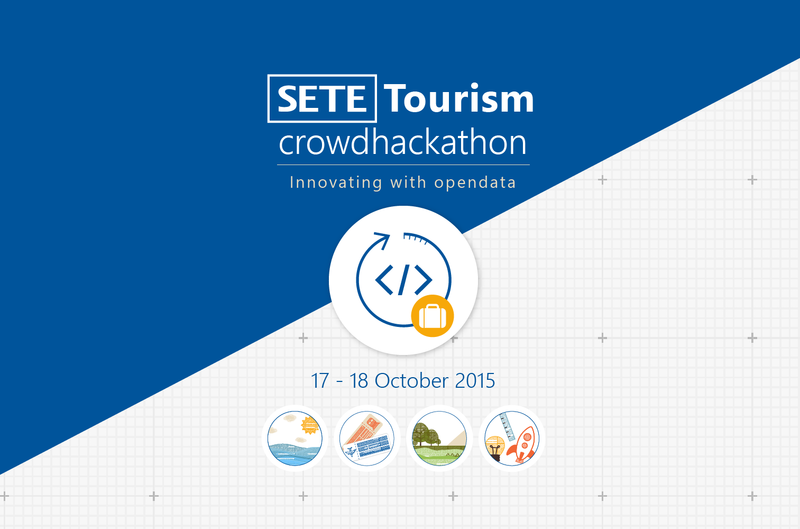 The event, "SETE Tourism Crowdhackathon, Innovating with Opendata" will be held on the 17th and the 18th of October 2015 at INNOVATHENS, the Athens Innovation and Entrepreneurship Hub, located at Technopolis City of Athens. The SETE Tourism Crowdhackathon will be part of the series Crowdhackathon Innovating with Opendata, an Open Innovation Initiative implemented by the open innovation company Crowdpolicy. The event is supported by Google. 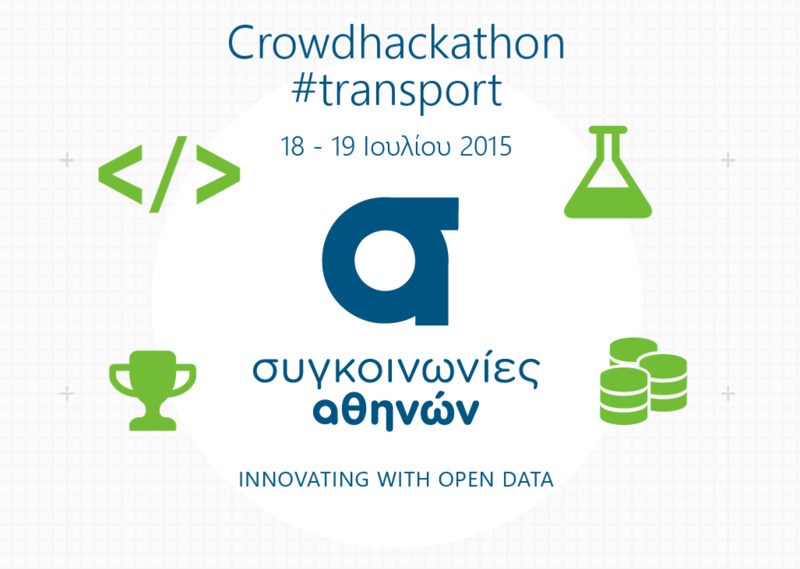 On the 18th and the 19th of July 2015, Athens Urban Transport Organisation (OASA S.A.), Crowdpolicy Innovative Company and InnovAthens, the Athens’ Municipality Innovation and Entrepreneurship Hub located at Technopolis S.A., organise a two-day Hackathon Festival focused on the design and implementation of applications leveraging open data. The event is part of the “CROWDHACKATHON I INNOVATING WITH OPENDATA” Initiative that will gradually be implemented in the economy and the society. Google and VISA are the main sponsors of the event which is also organized under the auspices of the Greek Ministry of Economy. On the 13th and the 14th of June Crowdpolicy and “INNOVATHENS”, the Athens’ Municipality Innovation and Entrepreneurship Hub located at Technopolis S.A., organise a two-day Crowdhackathon focused on the design and implementation of mobile applications against tax evasion. The Hackathon organization team calls developers, analysts, designers, economists, business consultants, professionals, students and everyone (over 18 years old) who wants to contribute in the applications’ implementation, to participate. The best applications will be awarded with prizes by GLOBO PLC, which is also the great sponsor of the event.